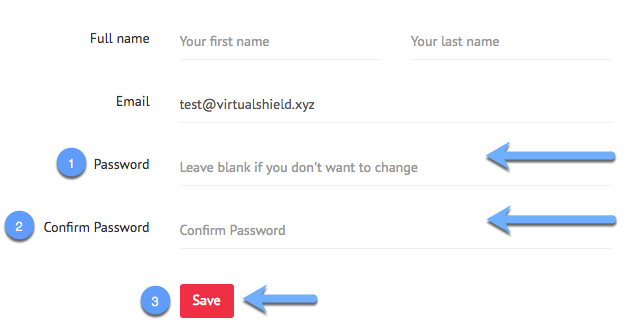 This article instructs you on how to change the password associated with your VirtualShield account. You should already know your existing password in order to change it. If you do not know your current password, please see this article for more information on how to reset your password. Enter your new password in the Password field. Don't forget to re-type your password in the Confirm Password field. Note: Our passwords are CaSe-sensitive.